In the past few years I have worked with constituents to address issues related to county road maintenance, economic development, permits, child welfare concerns, noise and nuisance issues, dog control concerns, addiction treatment among others. 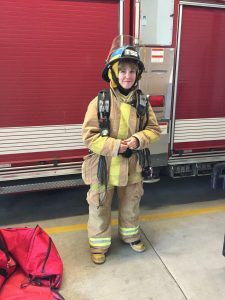 Homeless Youth Program- Working with YCAP’s Youth Outreach to bring a drop in center and youth transition program to include housing, job training, continuing education, support services to McMinnville. Spearheaded County-wide Emergency Notification System now being implemented through the Sheriff’s Office and the Office of Emergency Management. 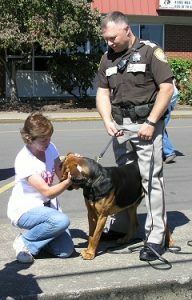 Dog Control- Worked with local non-profits and animal advocates before and during Sheriff’s Office re-vamp of the Dog Control program. Second Amendment Advocacy- Sponsored county resolution to support Second Amendment Rights. Medicaid Patient Dental Filling Choice- Advocated for Medicaid patient right to choose non-mercury-containing composite dental fillings. Countywide Town Hall- City County Work Sessions- As Chair, I instituted Town Halls in all 10 cities in the county including work sessions with mayors and city councils throughout the county. Invocation- Continued the practice of having a community member offer an invocation before commissioners’ weekly Formal sessions.